Starting your own garden is a joy of a hobby. But did you know that gardening is an art, and its not just planting flowers, or vergetables that simple? For starter, you need to know what kind of gardener you want to be. Do you want to be an organic gardener? You want to be vegan gardener? Or you just want to have a simple garden for home improvement? Whatever gardener you want to be, it is important that you have a right space to start a garden, and the soil, which is the important factor in gardening and farming. Always identify the plants you want to grow if they need full sunshine, or partial or just a shade. Plan your garden what design you want. 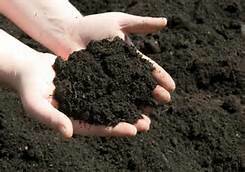 But the first thing to do is to test the soil in your garden if it will fit in any plants to grow. If your soil is high on pH or alkaline, chances are, you can plant the seed, it will, but it will never be a healthy plant. There are many home kits that you can buy in hardwares for soil testing. But what if, you just want to test it without using any kit and just use any home materials for my soil testing? There ways of testing the acidity and the pH content of your soil using home products. Vinegar and Baking Soda – You can use this home products in testing the acidity and pH content of your garden soil. Collect soil from different parts of your garden and put a right amount of soil into two separate containers. 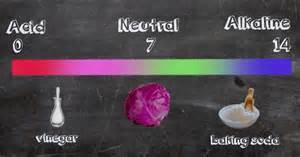 Add 1/2 cup of vinegar and if it fizzes, you have alkaline soil, with a pH between 7 and 8. If it didn’t fizz after the vinegar test, add distilled water to the the soil until its muddy then add 1/2 cup baking soda. If it fizzes you have an acidic soil, most likely with a pH between 5 and 6. If your soil doesn’t react in this home tests, you can go ahead with your gardening because you might have a healthy soil with a pH of 7 and can grow healthy plants. Now that’s the cheapest way to test how healthy your soil is. So why do we need to know if the soil in my garden is high or low in pH? What will be the effect of pH in my plants? It is very important to know the number of pH in your soil because it is essential to your plants’ roots if they can get enough minerals they need to get from the soil. And, even if you want to grow an orange or peach trees, you can’t do it because your soil is acidic. Remember to choose the plants you want to start in your garden. If it can grow in an acidic soil or an alkaline soil. It will all depend on you to have your plants to grow healthy.